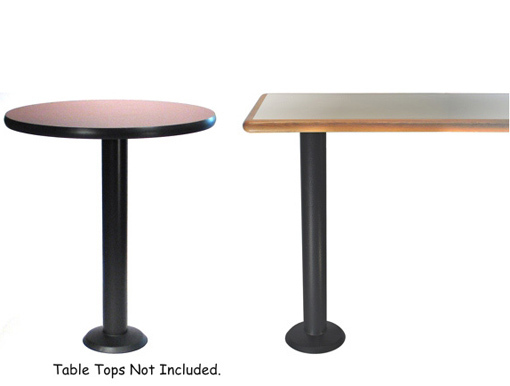 Economy floor mounted bolt down table bases. Standard black finish. 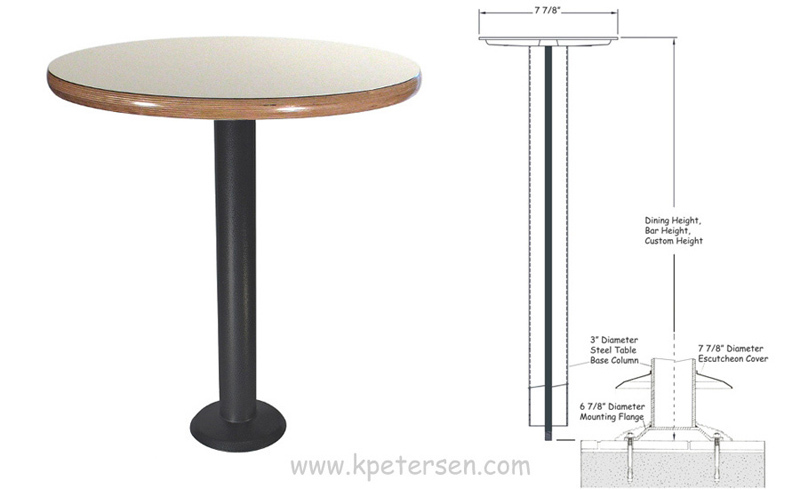 Economy bolt down table base available in dining height, bar height and custom height. 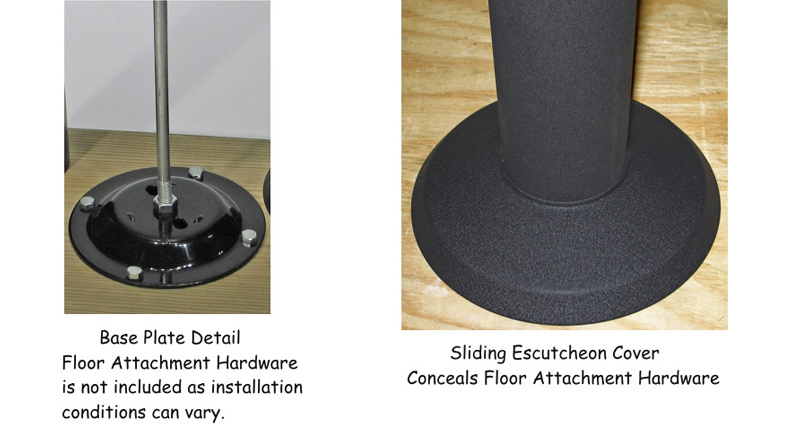 Economy floor mounted bolt down table base details.